What do I wear for my photoshoot? Bring a few different accessory options that would bring a pop of color (examples: tie, handkerchief, scarf, blouse, etc.). We can play around with all the options to see what would make you look the best! Always wear a top with even the smallest of sleeves (yes I know you may have the guns to show off, but it does not look professional). Consider bringing a jacket that you can button. It ties the whole picture together and makes you look more professional! Do NOT wear a top with flowy sleeves. When you wear flowy sleeves, people can't see your beautiful figure, making for an unattractive picture! For family shoots, do NOT wear matching outfits! Identical matching colors/styles are rarely flattering. Instead, try coordinating two or three colors that are flattering for everyone and work these colors in all the outfits! How can I prepare for my photoshoot? Here are some things you can do before your photoshoot that will help you look your best for the big day! If you color your hair, make sure your roots have been touched up before our time together. Get a fresh haircut - not too fresh though, give your hair at least a week to settle in. Drink plenty of water the day before your shoot to give your skin a hydrating boost! To give your complexion a fresh glow, exfoliate at least twice (with a three day-break in between). Also, the last time you exfoliate should be at least 24 hours before your session. Get a good night's sleep!! Don't go out and party the night before your shoot, stay at home and go to bed early! Also, stay away from the hooch for at least 3 days prior. Misty can absolutely photoshop you! But for best results, do a little grooming before seeing me. For example: pluck those pesky nose hairs, get your eyebrows waxed, put on a little makeup, etc. Can you take off 30 lbs to make me look skinnier? I can't do 30 lbs, but how about 20? Believe it or not, having proper posture can actually make you look 10 lbs skinner! Just remember to stand up tall and roll those shoulders back! As for the other 10 lbs, Misty can take care of that in Photoshop for you! I know my children won't be able to sit still for the camera. How do I get them to cooperate? When you first tell them about the family picture plans, act excited like it's going to be SO much fun! Get them involved from the beginning! If you let them help pick out what they're going to wear and what props they can bring, they will feel included and be more likely to cooperate. Don't rush! Allow plenty of time for the session, it's hard to stay patient and positive when you are rushed. We can give them a little break during the session. Even better, we'll let them play in between poses! We'll be able to capture great candid shots of your little ones the way they really are! Bring snacks to avoid mid-shoot meltdowns. Promise them ONE reward after the shoot is over. Do not try to promise them multiple rewards, it works best with just one reward. It could be food, going to their favorite restaurant for dinner, etc. If your child(ren) are old enough, I usually offer to let them decide what we do for the last portrait. It has taken me years to get my husband to agree to a family portrait. Is there anything I can do to make our session less painful than it has to be? I get a lot of husbands (and occasionally wives) who absolutely dread going to a professional family portrait session. But at the end of our time together, they say something along the lines of "That was quick!" or "That actually wasn't too bad!" They tend to think that it's going to be this huge, time-consuming ordeal. But in reality, it doesn't have to be! They might even have FUN! Most of the business head shots I see are on the same white background using the same poses. Can you take a head shot that will stick out from everyone else's? Absolutely! Misty always takes photos according to your vision. I would suggest bringing certain props that will allow people to see who you are! For example, real estate agents could bring a for sale sign, doctors could bring a stethoscope, etc. We can take the standard headshots using a white background, but we can also take fun ones with props to give you more flexibility and options! I'm not sure what location I want to use for my session. Do you have any favorite places you have shot before? A variety of Downtown Dallas locations - we can find one that matches your personality! You are NOT limited to these locations above. You and Misty can brainstorm about any ideas you might have, and together you can come up with a location that best fits you and your personality! Is it best to use the same profile picture for each social media account? Or should each account have a different picture? There definitely is something to be said about the consistency of having the same profile picture on each of your social media accounts. But, there is nothing wrong with using a different picture for different accounts! Some social media platforms have more of a fun vibe (like Twitter), and some have a more professional vibe (like LinkedIn). As long as the pictures were all taken around the same time, you should be fine! Misty can definitely give you some options to play with! What if I need my head shots in different file sizes? 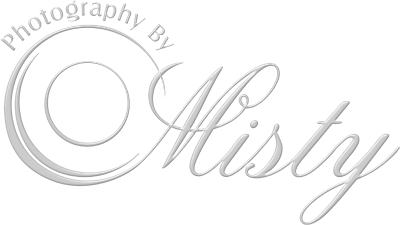 We will give you 3 headshot sizes specific to your needs, or Misty will give you the top 3 most common sizes needed for marketing and social media!